Sometimes, just being able to enjoy your cherished hobbies means so much, and helps you feel like yourself when facing a delicate time in life. Since Leo Hecker, 88, hung up his spurs and saddle as a ranch hand 20 years ago, his days have been filled with selfless service for a cause near to his heart. With purpose and passion, Leo has handmade more than one million red crepe paper poppies, both big and small, for the American Legion Auxiliary. The Auxiliary sells the poppies throughout the state of North Dakota leading up to Memorial Day to honor military members who have lost their lives with proceeds benefitting disabled and hospitalized veterans. Each poppy takes approximately two to three minutes to make and requires carefully assembling each element using wire and pliers, and finally, attaching the ‘In Memoriam’ tag with a sturdy adhesive. “I spend some time every day making poppies. I used to spend as much as 12-16 hours a day when the Auxiliary really needed them done,” Leo said. 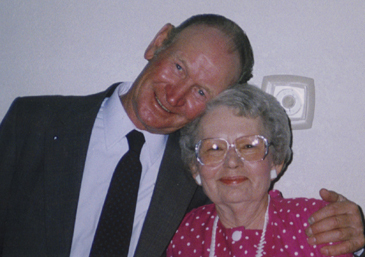 Hospice of the Red River Valley patient Leo Hecker lives every day with intention, enjoying his favorite hobbies. As a young man, Leo was drafted into service and served for three years and 9 months in the Marine Corps. “Well, I figured lots of people die in war, you know. I’m one of the ones that came out of there alive,” he explained. 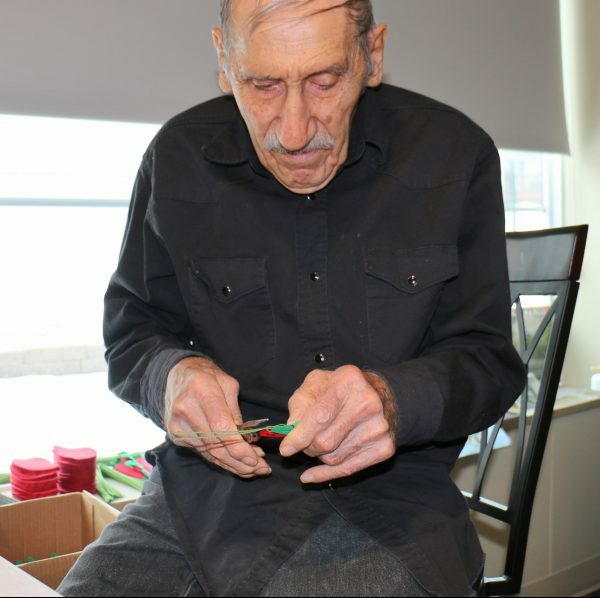 “Making poppies is a memorial for the ones who have died; it’s the least I can do.” With no family living close by, Leo is living his best life in service to others, and Hospice of the Red River Valley is helping him along the way. 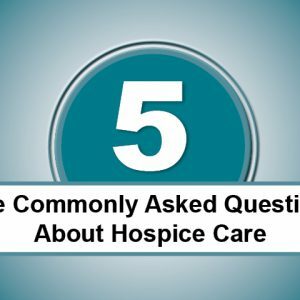 In early 2017, Leo’s colon cancer advanced, and he moved to Valley City, N.D. That’s when Leo enlisted the help of Hospice of the Red River Valley to add complementary support to the care provided by facility staff at Sheyenne Care Center. ‘Echoing Trails II’ book Leo’s Hospice social worker located for him. In visiting with Leo, Hospice staff discovered a treasured book of his was misplaced in the move to his new home. 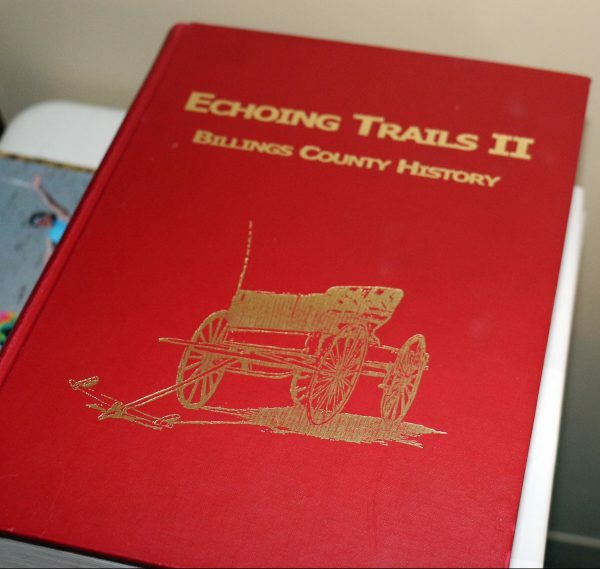 The beloved book, ‘Echoing Trails II,’ told the history of Billings County, N.D. Leo looked at the book often, reminiscing about the families and place where he grew up. “Leo enjoys history and talking about his childhood, what he did and where he worked, so I knew trying to locate a copy of the book was important,” Karolee explained. After doing a bit of research and making a call to the North Dakota State Library, Karolee located a copy of the book at Valley City State University and was able to check it out for Leo. Karolee renewed the book several times for Leo and eventually was able to locate a volume he could keep. “He was so pleased. He looks through the book and tells you all about each person and things he remembers,” she said. With Sheyenne Care Center and Hospice of the Red River Valley working in tandem, Leo’s days are filled with quiet dignity. He is able to focus on what brings him joy—meticulously constructing poppies, reminiscing about family and home and attending church—all while being well-cared for and free of pain and symptoms of his disease. 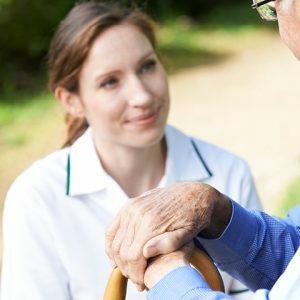 Above and beyond caring for his physical and emotional needs, Leo’s Hospice team has worked to preserve these joyful moments—and timeless treasures—to help ensure Leo’s time left is meaningful to him. “They’ve been really good to me. I couldn’t find better help,” Leo shared.